One of the Holy Grails of miles and points is how to get miles or points when you have no choice but to pay by check – and still turn a profit. Now, maybe you’ve heard of Plastiq and maybe you haven’t – but if you don’t know how I’m profiting 2%++ on all of my business check purchases, read on…. Bill payment processor Plastiq allows you to make any payments you would like via check using a credit card. While they have promotions (for example, your first payment of $500 or more when someone refers you will get you $500 “Fee Free Dollars” to use on a future payment) the standard fee is 2.5% on top of your payment. This SOUNDS like you are losing money, but you aren’t – if you know hw to work it…. If you have a Chase Ink Preferred credit card, all purchases made with Plastiq are currenly coding as 3x bonuses purchases. While I can’t guarantee this will work forever, it’s well known and even my rep at Plastiq touts it. If you hold only the Chase Ink Preferred, each point is worth 1.25 cents a point when redeemed for travel, or you can transfer to airlines and hotels for much greater value. If you also hold a Chase Sapphire Reserve card, though, the math gets even better because you can transfer your points to the Reserve and redeem with a value of 1.5 cents a point on travel. These are your “base levels” of value, but by transferring to airlines and hotels, I often get more than 2 cents a point in value. $1,000 in spend will have a fee of $25. That will earn 3,000 points. Or more if transferred to airline/hotel partners. If you don’t already have Plastiq, the Milestalk referral link will get you 500 Fee Free Dollars after your first payment of $500 or more. And here is our referral link if you need a Business Credit Card. Do you use Plastiq for business payments? 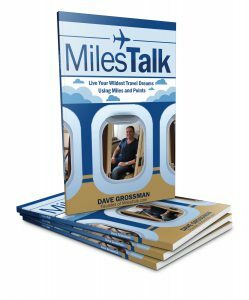 Let me know here, on Twitter, or in the private MilesTalk Facebook group.